The Benefits of Clary Sage Essential Oil – Best Essential Oil EVER! This week I am reviewing a beautiful essential oil diffuser that’s very well rated on Amazon. If you are thinking about purchasing a diffuser, this is a great choice, it’s well priced and comes with a money back guarantee (see below). Unlock the captivating pleasures and restorative effects of the age-old practice of Aromatherapy. With Viva Naturals Ultrasonic Diffuser it’s easy to keep airborne bacteria at bay, enhance moods, improve energy and focus, promote healthier skin, boost immunity, and give your home a fresh fragrant scent. Aromatherapy provides a multitude of benefits for your mental and physical health. Some essential oils can be used to make you feel more relaxed. Some make you feel more energized. Many oils can target certain ailments. The Viva Naturals’ Tranquil model would be great for anyone interested in Aromatherapy. It’s easy to use and comes with a few extra features to make your Aromatherapy experience extra special. HEAT FREE: Since this product is heat free, essential oil compounds are preserved; this allows you to receive maximum benefit. PURIFIES THE AIR IN YOUR HOME/OFFICE: This diffuser uses gentle vibrations (ultrasonic technology) to disperse cool, soothing essential oil mist to clean the air and leave your space smelling great! HELPS STOP GERMS FROM SPREADING: It is known that many essential oils contain anti-microbial compounds. When these compounds are dispersed in the mist they bind to germs in the air and remove them. Use year round to protect you and your loved ones from colds, flu and other germs. 4 TIMER SETTINGS: Choose the time that’s right for you. Viva Naturals’ Ultrasonic Diffuser disperses a gentle stream of oils at 1 hour, 3 hours, 6 hours or continuous settings. (Continuous mode lasts from 10-12 hours). 7 UNIQUE LIGHT SETTINGS: Create the perfect sensory experience with these 7 light choices or choose the shuffle mode. Suitable as a nightlight! Whisper-Quiet:This diffuser produces very little operating noise. Great choice for any area, including a bedroom. Automatic Shut-Off: Diffuser will shut off once all the water and oils are dispersed. Never worry about forgetting to turn the unit off. Tap-Water Safe: No need to use filtered or distilled water. Easy to Use: Just remove the top, add water and your choice of essential oils, replace top and turn on. Risk nothing with this great offer. If you are not fully satisfied with your purchase for any reason during the first 90 days, simply return the diffuser and you will be refunded 100% of the price you paid. 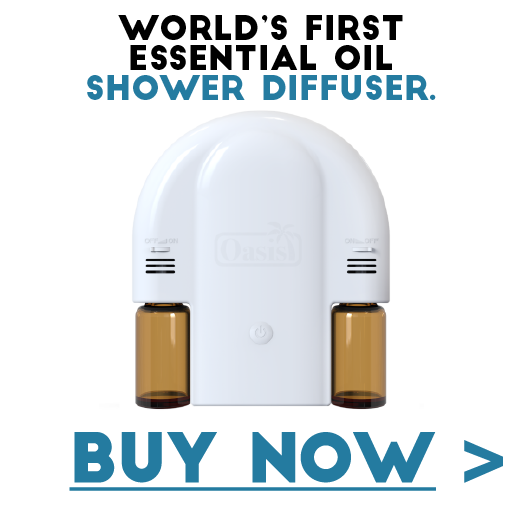 This product was noted to recommend a ratio of essential oils to water; some people found the end result too strong. Using essential oils is a very personal thing, you may need to experiment with your essential oils to find the best ratio for you. This diffuser is a unique grey color which may not be suitable for some people. Again, this is a personal thing. This diffuser comes in an alternate Espresso color as seen below. Aromatherapy is an alternative and complementary medicine and its benefits are numerous. Diffusing oils with an essential oils diffuser is probably the safest and easiest way to savor the scents as they improve your home’s air quality, not to mention the benefit you will receive to your general overall health. The Viva Naturals Ash Tranquil model will add a dash of unique elegance in any room while gently humidifying the air and eliminating dust, germs and allergens. Its large 400 ml tank can provide mist for up to 10-12 hours; this is great if you want to use this product while you sleep. The auto shut off feature is also an important feature if you plan to use it at night. There are hundreds, if not thousands of Essential Oil Diffusers on the market to choose from. In my opinion this diffuser would be a good choice for anyone but especially for someone that is new to Aromatherapy. This product is reasonably priced, has a great many positive reviews, and comes with a fantastic Money Back Guarantee. …really like the unique color. …I use my diffusers while I sleep, many of them are too loud. All diffusers let off some noise however this one is very quiet. I really love the different time settings. Produces more mist than smaller models. Lights are nice, I can choose a solid color or decide to let the lights shuffle. …timer function is also a nice touch! …covers the main floor (1200 square feet). Looks great with our décor. It’s sleek and functional…love this diffuser. I would highly recommend this product. Haven’t stopped using it…we love it! Thanks for reading this review, I welcome any comments about this product, please use the boxes below. I wish you much happiness and great health. I will be bringing you product reviews from time to time. I feel it is right to declare to you that I may not always have direct experience with the featured product. I do promise that I have spent numerous hours studying and researching all items reviewed on my site. Personally I use aroma therapy in my home. I have found that the lavender helps my father sleep better at night. He suffers from dementia and his mind does not like to sleep when it is supposed to and the lavender helps him to rest. I liked your article and the content in it and I agree with you that what ever scent that you use, there is always a benefit to using it. I am so glad you find some benefits to using lavender for your father. I often use lavender and cedar when I fall asleep. It makes a lovely combination. Take good care of yourself and your father. Great review. It made my thoughts go back to comparing it to my salt rock ionizer to compare benefits. Greaty job. I have a salt rock too! I love using the diffuser and the salt rock at the same time. Can’t get too much of a good thing! LOL Have a wonderful day and thank you very much for stopping by. This Diffuser sounds amazing! My mother used to have a diffuser at her house, and I’ve been thinking about getting one for myself, this one looks like a great deal. This diffuser would be a good starting place for a newbie to essential oils, with the money back guarantee you have the option to return it if you find that it’s not suitable for you. I appreciate that you stopped in. I hope you have an awesome day! Wow ,very nice review..Very informative and great if it becomes to health benefits.Keep up the good work. Thanks for your kind words. Aromatherapy is an awesome way to promote better health, it’s also great fun too! I love all the different oils. Aroma therapy is so so effective in all the pains and tiredness and all healing. This diffuser looks amazing, looks stylish and really good quality. Thank you for sharing this amazing product. You are very welcome. Yes, I agree this product looks great and the 90 day money back guarantee makes it a great product for anyone. Thanks for stopping by! Hi Angela, what a beautiful diffuser! I love the grey colour in the Viva Naturals Diffuser. I have several diffusers – all different sizes. I like to diffuse different oils in different rooms. My living room always has eucalyptus and something else (right now it’s lemon). I like the freshness of the lemon and the flu fighting properties of eucalyptus. My bedroom is lavender to help with sleep at night. My bedroom diffuser also has a nice calming light for night use. I would certainly consider the Viva Naturals Diffuser if I decide to purchase another diffuser in the future. I think it is the perfect size and I love all the different colours that can light up. I especially like the fact that it can diffuse continuously for 10-12 hours. Always great to hear from you. I agree this diffuser is a great deal and I love all the light features too! Viva Naturals Tranquil looks nice in the ash color, the Espresso looks good as well. Have an awesome week ahead! I am probably going to be purchasing a new diffuser in the near future for my bedroom. I currently have one in my living room and probably paid 2.5 times the amount I paid for the one you reviewed! Might be worth trying this one out I think 🙂 thanks for the recommendation!! Thanks for popping in. Having more than one diffuser is an awesome idea. I only have one and I move it around the house wherever I need it to be. I’m thinking I may have to invest in a second diffuser too! I sure appreciate you taking the time to comment. I love hearing from you. Take good care and have an awesome week! I’m Angela. Join Me On A Journey To Discover The Benefits Of Essential Oils.